I am not sure about you but there are days in my life when I am not grateful enough for what I have. It is so easy to get sucked into “more, more, more, faster, faster, faster, bigger, bigger, bigger”…. It’s a world of instant gratification and we do “almost” everything to fit in. At what cost? At the expense of our family, health and well-being? I work really hard on my quest for excellence and I think this is a good thing as long as I acknowledge my little milestones along the way. I am an overachiever and chances are that YOU are one as well, otherwise you wouldn’t be reading my blog. I got you, right? Overachievers are energetic, goal-oriented, determined and future focused. On the flip side they strive forward without stopping. Over time this “go go go” attitude can wear you out. It is important to stop and see how far you have come. Why don’t you take a little reading break for some well deserved self-acknowledgment. That’s right, pad yourself on the back and make the time for one minute of gratitude. 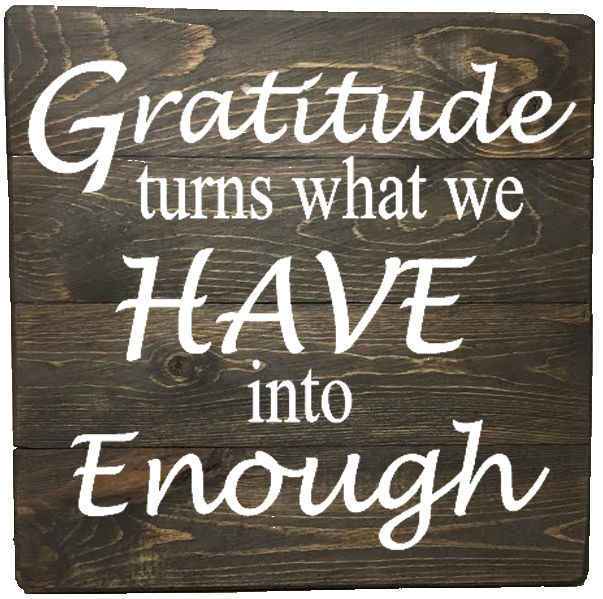 What are some things to be grateful for in your life right now? One minute of gratitude is also a wonderful stress relief. Be grateful – if you have a bad day, make a list of all the things that you can be grateful for; I promise you that you will immediately feel better. Finally, here is a gratitude list from the Tiny Buddha website, which is really worth reading.